Many life-threatening diseases are caused or exacerbated by a mere change of a single nucleotide building block in the universal genetic DNA code. Such "point mutations" can turn a single cell in the human body into a cancerous cell that goes on to grow into a tumor, or they can turn antibiotic-sensitive into antibiotic-resistant bacteria that cause untreatable infections. In an ideal world, clinicians would be able to remove cells with such deleterious point mutations right after they are created to fight diseases much more effectively. The Cas9 enzyme is guided to its genomic target sequence by a small guide RNA with a complementary sequence. 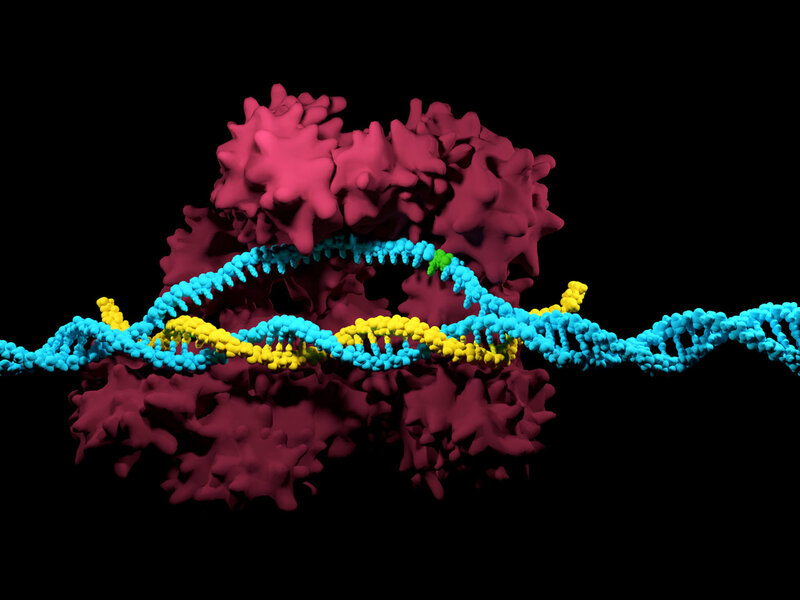 Once brought into position on the gene of interest, Cas9 acts like a molecular pair of scissors, cutting the target sequence at a defined site. If repaired, this deliberately introduced damage allows biologists to edit the genome of cells, but if left unrepaired, it will cause cells to die. Yet, despite the system's effectiveness in finding and cutting target sequences in the genome of many organisms, unspecific activity that lets Cas9 randomly cut at secondary, not completely identical sites still poses a problem to genome engineers. This also means that a target sequence carrying an undesired point mutation often cannot be sufficiently discriminated by Cas9 from its normal counterpart and selectively removed. Even designer Cas9 enzymes engineered to be more specific are thus far not able to completely solve this problem. "By focusing instead on guide RNA features, our approach dramatically enhances Cas9's specificity up to a level where single nucleotide polymorphisms can be clearly distinguished and unwanted genetic variants erased," said George Church, Ph.D., who also is Professor of Genetics at Harvard Medical School (HMS) and of Health Sciences and Technology at Harvard and the Massachusetts Institute of Technology (MIT). "Our method opens up an entirely new way to think about disease prevention in the future." Previous studies had shown that, paradoxically, certain mismatches between a guide RNA and its target sequence don't affect Cas9's ability to cleave a specific site in the DNA. "We hypothesized that for a given pair of targets that differ by a single point mutation, a set of mismatches could be identified in the guide RNA that would eliminate Cas9's activity on the normal sequence while maintaining robust activity on the one with a deleterious point mutation. This would stop a cell with a mutation cold in its tracks right after it is born," said Alejandro Chavez, Ph.D., a first and co-corresponding author on the study, who as a Postdoctoral Fellow at HMS was co-mentored by Church and Collins and is now Assistant Professor at Columbia University. "The mutation prevention system maintained antibiotic sensitivity not only in E. coli strains cultured in standard laboratory conditions but also in bacteria that were used to colonize the gastrointestinal tract of gnotobiotic mice. These multi-day mouse experiments involved sustained antibiotic dosing and demonstrated that the system is robust even when subjected to potentially significant environmental pressures," said co-first author Benjamin Pruitt, a former Staff Research Scientist at the Wyss Institute and now Lead R&D Engineer at ReadCoor Inc.
"This strategy gives us the opportunity to study evolutionary mechanisms in microorganisms. For example, we are now able to prevent often occurring mutations that confer antibiotic resistance and ask, which other genetic changes could lead to the same result. This may improve our understanding of resistance mechanisms and potentially offer new therapeutic entry points," said James Collins, Ph.D., who is also the Termeer Professor of Medical Engineering & Science at Massachusetts Institute of Technology (MIT) and a Professor of Biological Engineering at MIT. 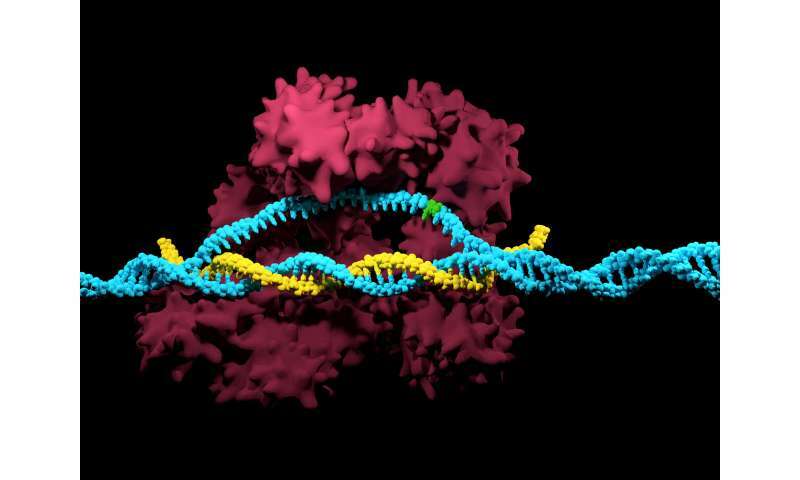 "This collaborative effort at the Wyss Institute has resulted in an entirely new innovation in the CRISPR/Cas9 field, one that could lead to entirely new ways to prevent and treat a broad range of diseases," said Wyss Institute Founding Director Donald Ingber, M.D., Ph.D., who is also the Judah Folkman Professor of Vascular Biology at HMS and the Vascular Biology Program at Boston Children's Hospital, as well as Professor of Bioengineering at the Harvard John A. Paulson School of Engineering and Applied Sciences.